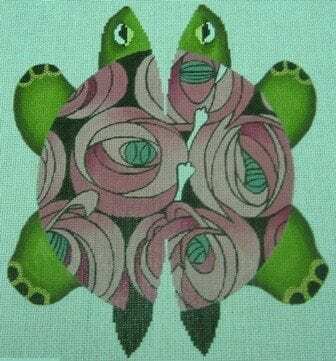 This Mackintosh roses turtle is painted on 18 threadcount canvas. Image measures approximately 8″ x 9″ and was designed to be finished as a frame weight but would make a delightful shelf-sitter. Let us know if you need us to pull fibers for you.